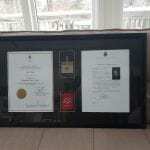 Thanks for the special recognition our founder, Marie Payne, received recently. 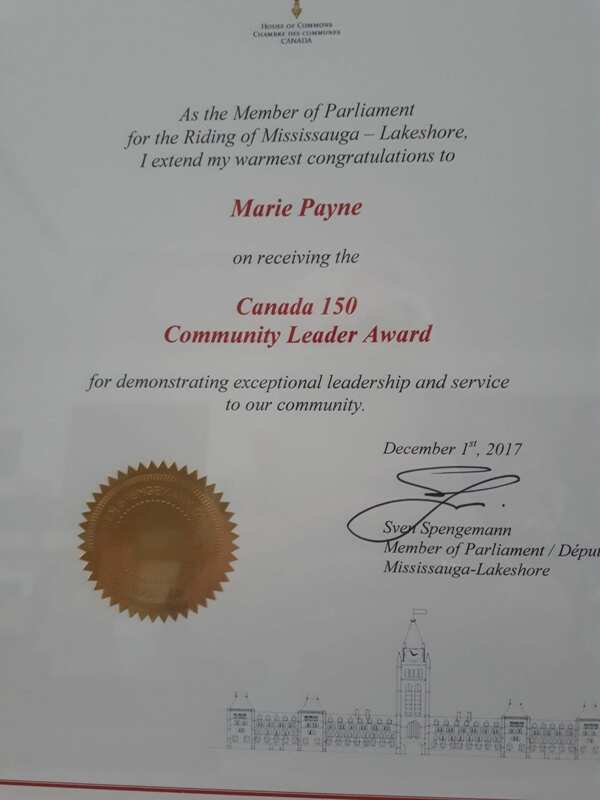 Marie was presented with an award by Sven Spengemann, Member of Parliament for the riding of Mississauga-Lakeshore, for demonstrating ex ceptional leadership and service to the community. As the founder and one of the organizers of Arts on the Credit events, Marie presents opportunities for local artists to show and sell their work. The artists are encouraged to remain in our community to share their special talents. Marie also established an artist group that meets up monthly to share information and to also share their work in progress. It is her belief that art brings colour and vitality to the community and should be supported and encouraged as much as possible.